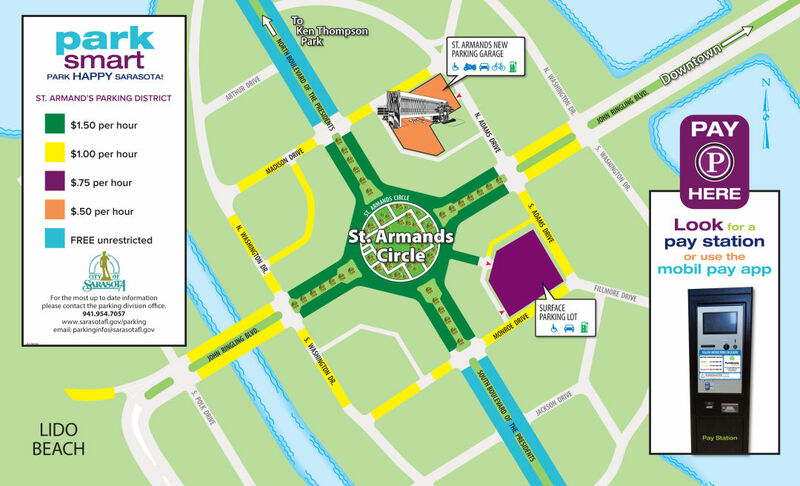 The new St. Armands Circle parking garage, located at 47 N. Adams Drive, will open to the public Tuesday, Feb. 12. The four-level garage includes 484 parking spaces, five electric vehicle charging stations including one DC fast charger, a bicycle storage and repair station, and public restrooms. Twenty-three surface lot spaces adjacent to the garage also were created. The garage also features efficient lighting systems, a tire inflation station and solar panels that will be installed on the rooftop to help power the garage. The $15 million facility is the result of a mutual partnership between the City of Sarasota and St. Armands commercial property owners. The paid parking program also will fund the project and operations. 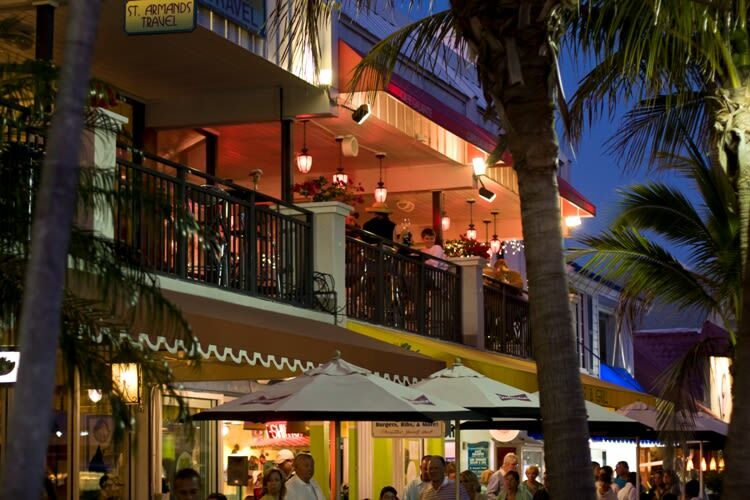 The parking rate in the St. Armands garage is $.50 per hour Monday through Saturday, excluding holidays. Forty pay stations and six traditional parking meters are installed around St. Armands Circle for on-street parking and parking in the Fillmore Lot at South Adams Drive and Monroe Drive. Visitors can pay by credit card, debit card, coins or ParkMobile app. Nearly 200 on-street parking spaces will remain free.